Classic Millefiori Fused Murano Glass Pendant in an 18mm (about 3/4 inch). These are about 2mm thick and highly polished. You can find these all over Venice and Murano as they have been popular for many years. All you need do is all a chain or cord. The colors are little abstract shapes of millefiori canes in oranges, blues and white. 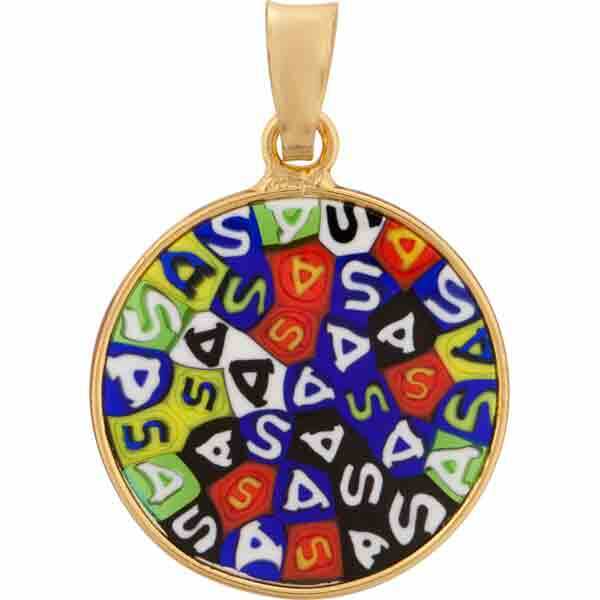 A Vermeil, Gold Plated Sterling Silver bezel and bail complete this lovely Millefiori Pendant.